Being a chef entails hovering over burners when the summertime kitchen temp is 120 degrees, working when your friends are out socializing, and being expected to gracefully receive criticism of your work from the public. But once in a while, being a chef has its rewards. Those rewards are even greater if you’re married to the chef. We’re co-owners Black Bottle, a gastro tavern in the Belltown neighborhood of Seattle. 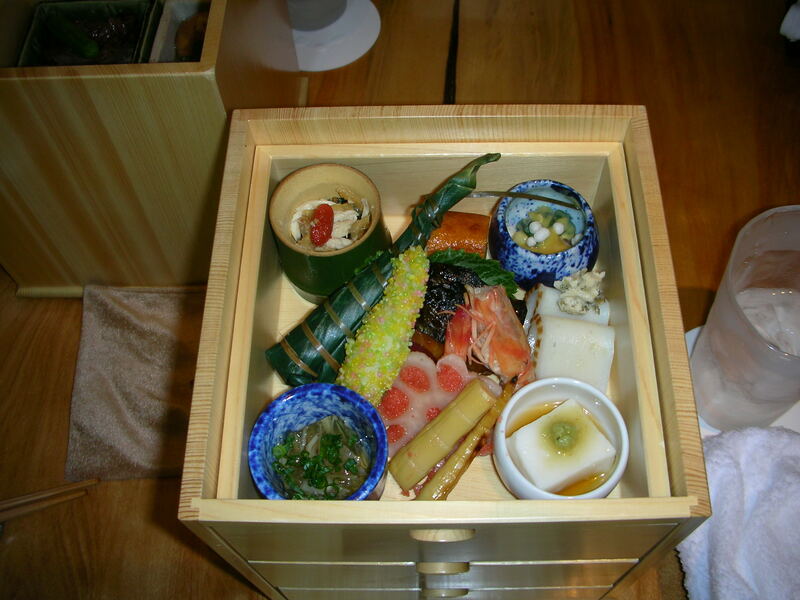 Two of our partners live in Tokyo, considered by many to be the gastronomic capital of the world. We had to go. With Bill and John at our sides, Brian and I spent a week eating our way through Tokyo. How lucky are we? Very. 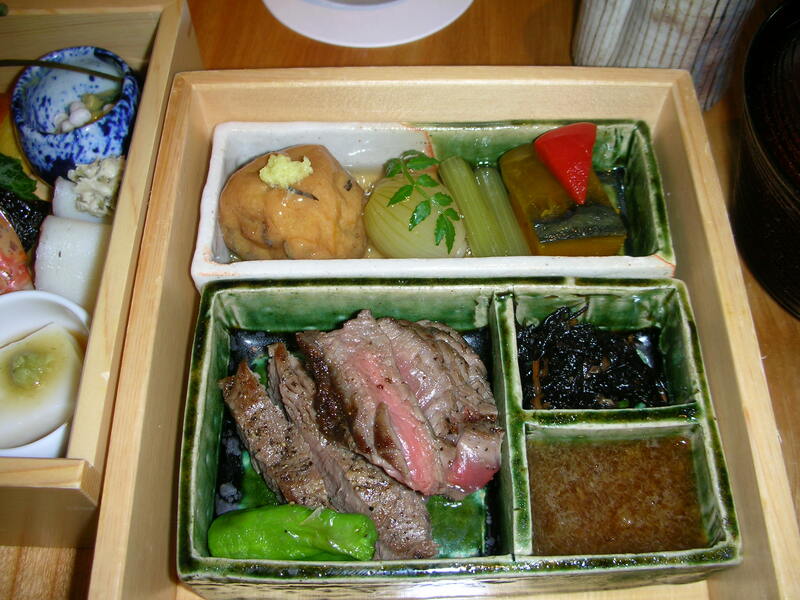 In Japan, presentation and quality are of utmost importance. 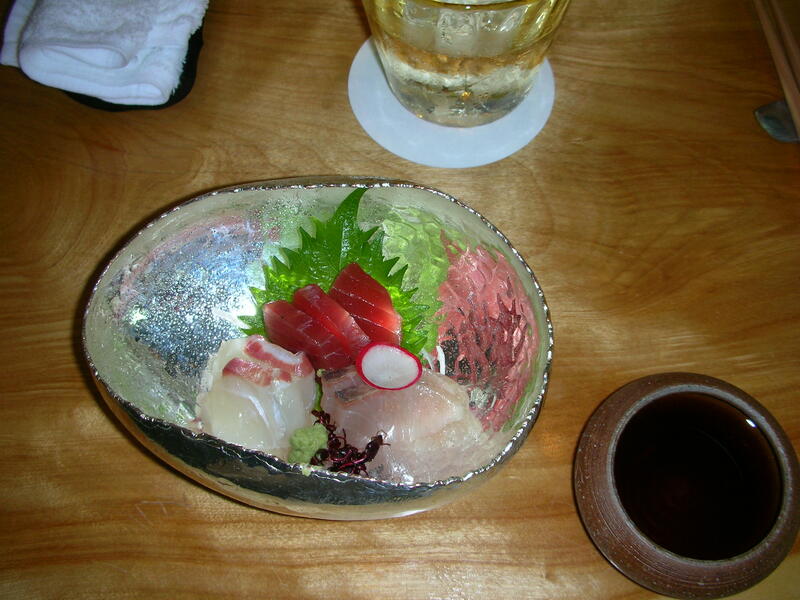 Maguro (tuna), tai (snapper) and hamachi (young yellow tail or amberjack) sashimi. 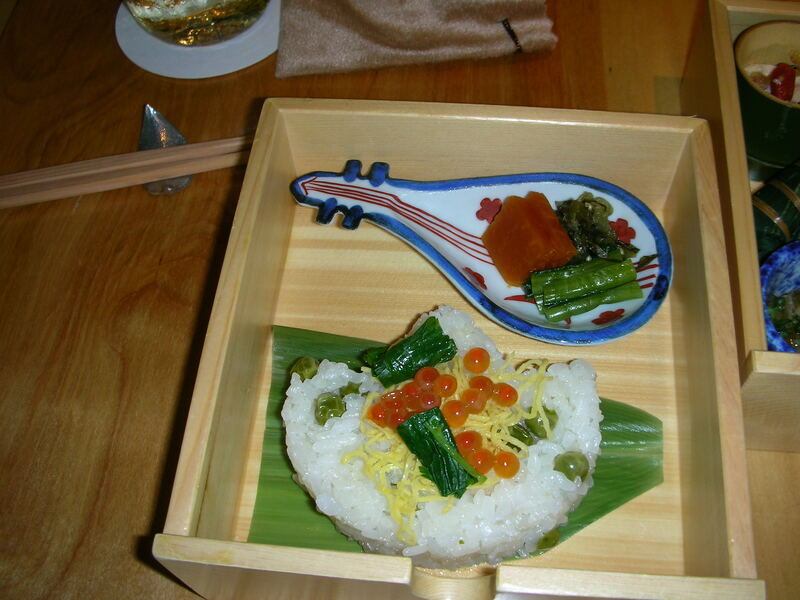 Steamed rice with ikura (salmon roe) and green peas with tsukemono (pickles) on the side. The detail that went into each item in this bento box was unbelievable. Have you ever seen such gorgeous food? For more food and travel stories, check out wanderfood wednesday!